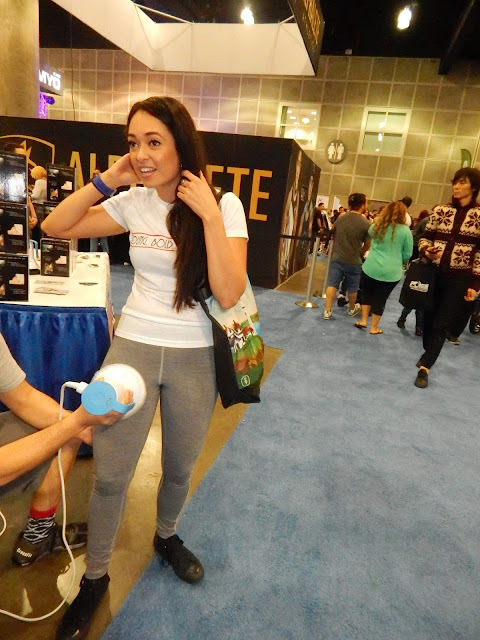 We had so much fun at the LA Fit Expo held at the Los Angeles Convention Center! Seeing people who have taken their fitness to the next level was exciting and inspiring. Our Host Anna Bobadilla loved the amount of organic and natural products. She also came upon a new clothing line in Avocado made here in Los Angeles. Lauren Fit DJ spinning the hottest tracks at her booth!